Jim McKellogg leads this Life Group on Wednesday nights at 6:30pm in Walton, Ky at the home of Brad & Brenda Friend. Please email Jim for address. How do we hold on to godliness when the world we live in is so anti-Christian? And where is God anyway? Is He really sovereign? In studying the book of Daniel, you will see how to live with influence and trust in God’s sovereignty when the world seems to have gone mad. 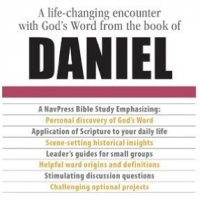 Rich in historical context, purpose, structure, and meaning of the book of Daniel, this 12-lesson Bible study applies ancient wisdom to current needs and issues Christians face.